The Big Book Display Keeps Children'S Favorite Books Organized And Ready For Storytime. Single-Sided Birch Unit Includes Four Shelves That Are 6-3/4" Deep To Hold Large Books. Maple Laminate With Colorful, Side Panels Is Easy To Clean And Stain-Resistant.. The Big Book Display Keeps Children'S Favorite Books Organized And Ready For Storytime. 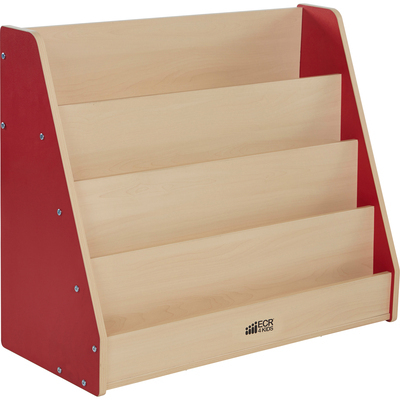 Single-Sided Birch Unit Includes Four Shelves That Are 6-3/4" Deep To Hold Large Books. Maple Laminate With Colorful, Side Panels Is Easy To Clean And Stain-Resistant.